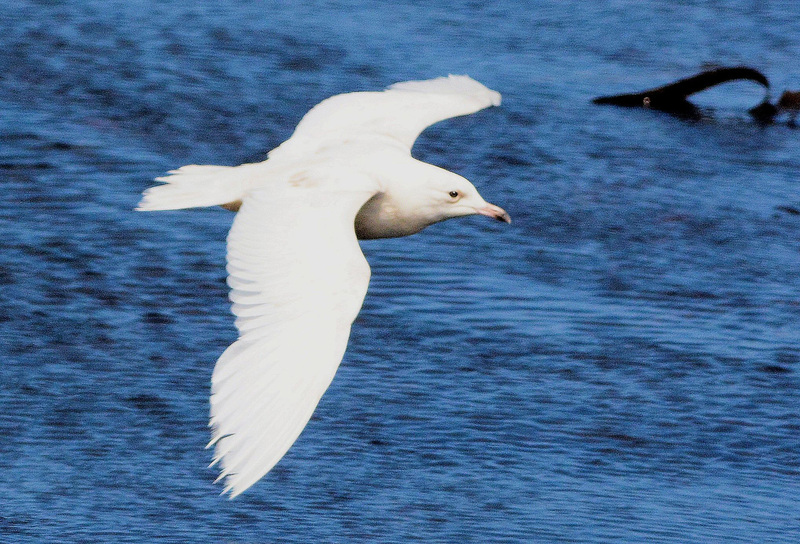 Iceland Gull - MSBO, Kintyre 31 May (Eddie Maguire). 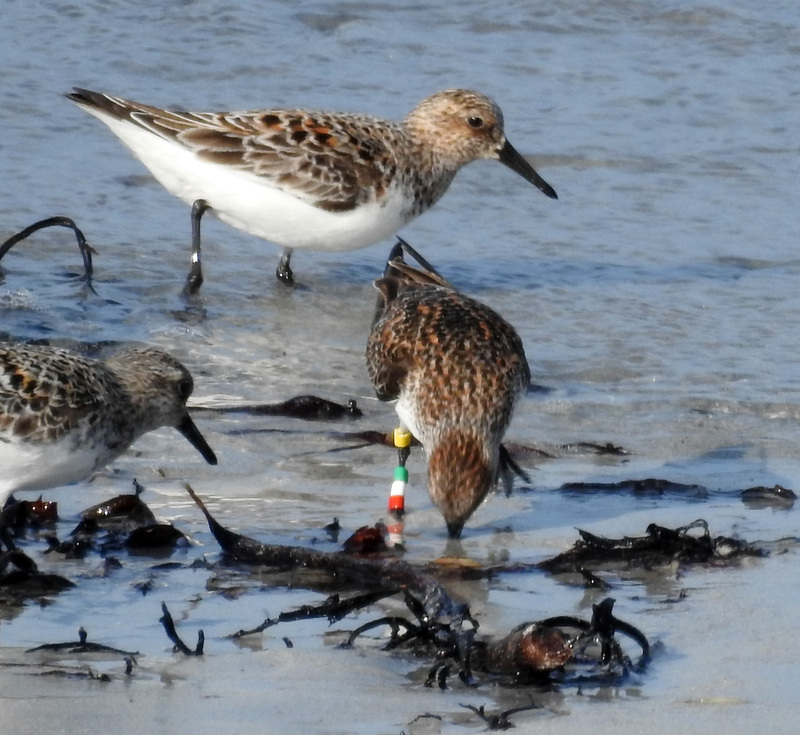 Sanderling with colour ring - Vaul Bay, Tiree 26 May (Jim Dickson). 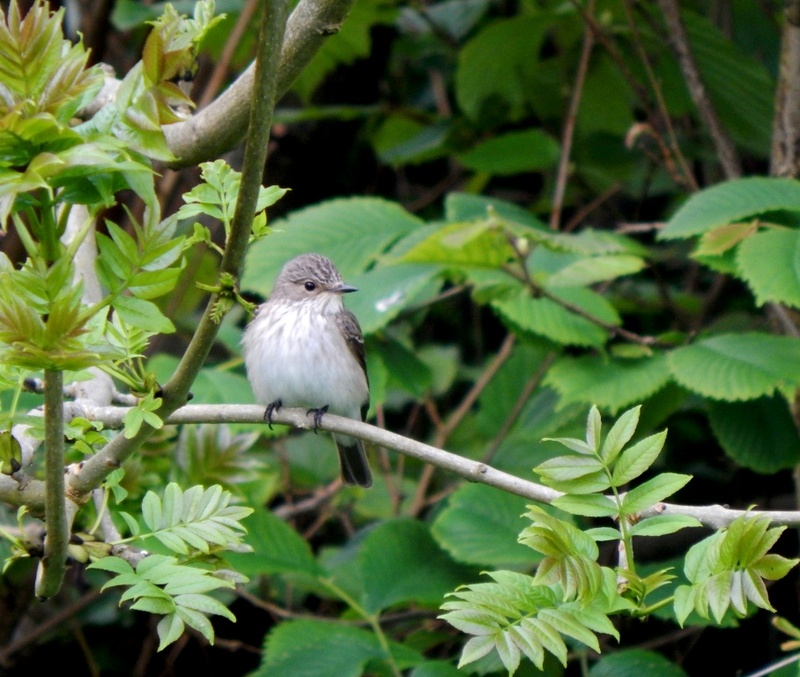 Spotted Flycatcher -Carnan Mor, Tiree 27 May (John Bowler). 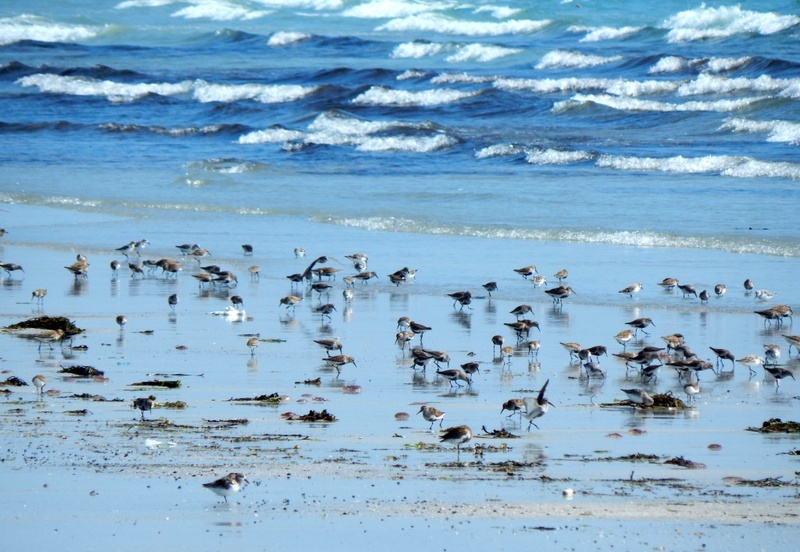 Dunlin and Sanderlings - Tiree 26 May (Jim Dickson). 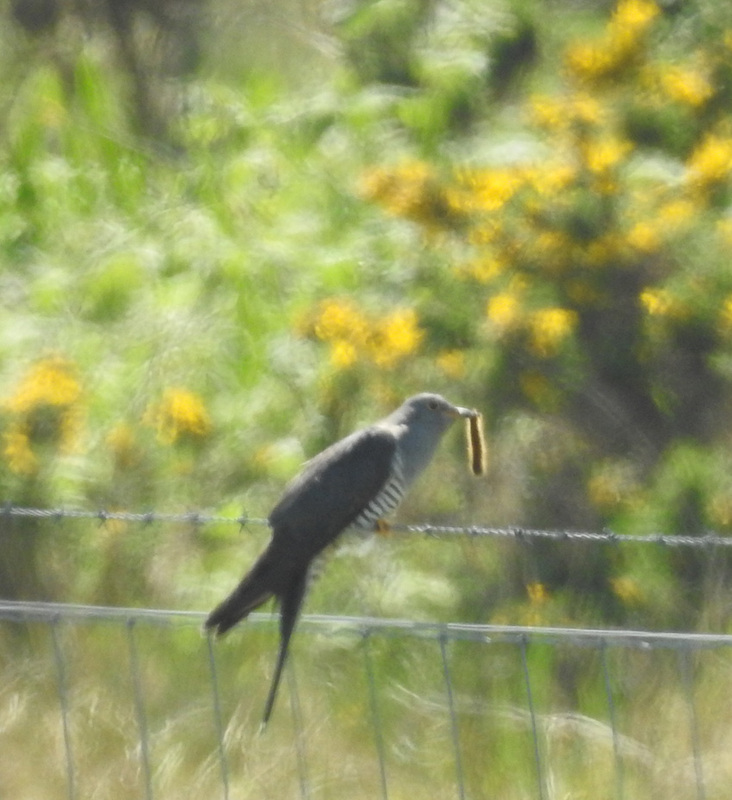 Cuckoo - Tiree 25 May (Jim Dickson). 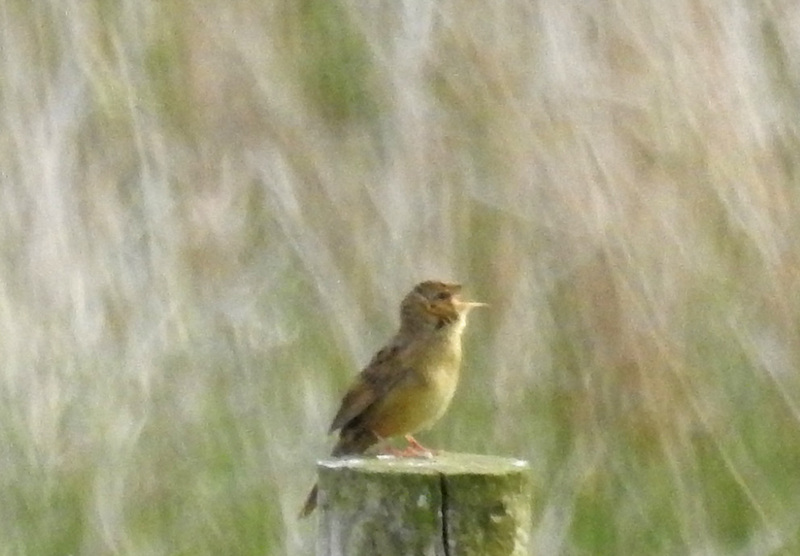 Grasshopper Warbler - Balephuil, Tiree 27 May (Jim Dickson). 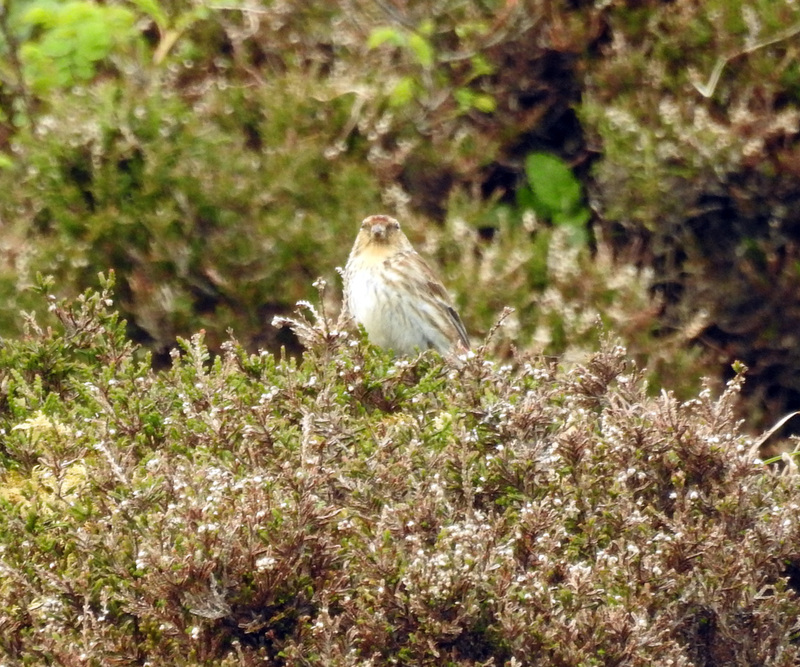 Common Redpoll - Carnan Mor, Tiree 27 May (Jim Dickson). 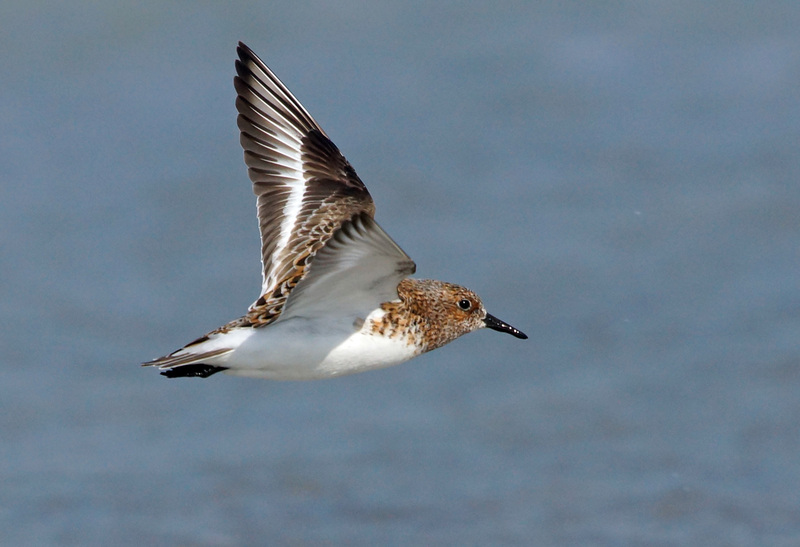 Sanderling - Tiree 26 May (Jim Dickson). 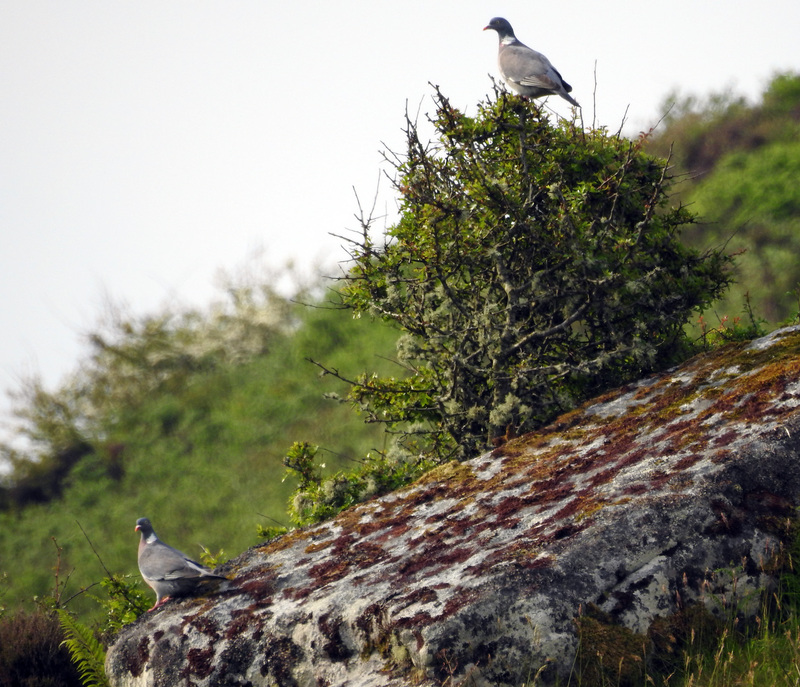 Woodpigeons - Carnan Mor, Tiree 27 May (Jim Dickson). 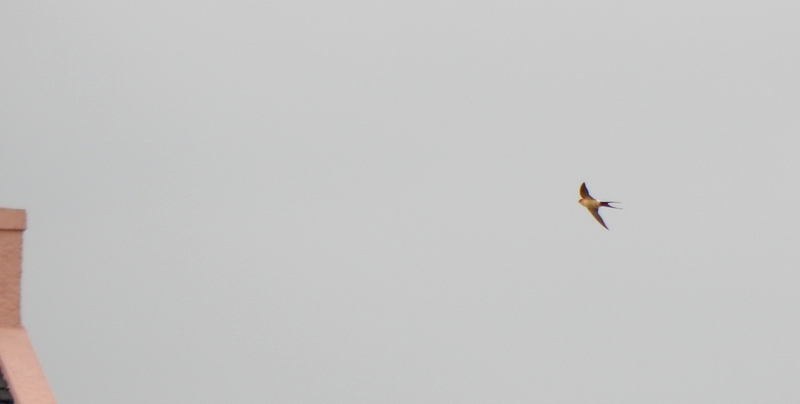 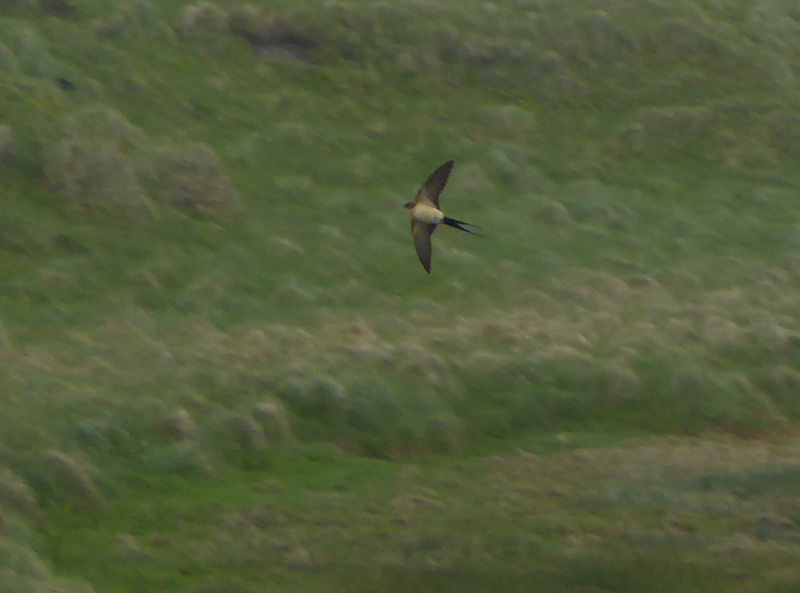 Red-rumped Swallow - Tiree 24 May (Mike Harrison). 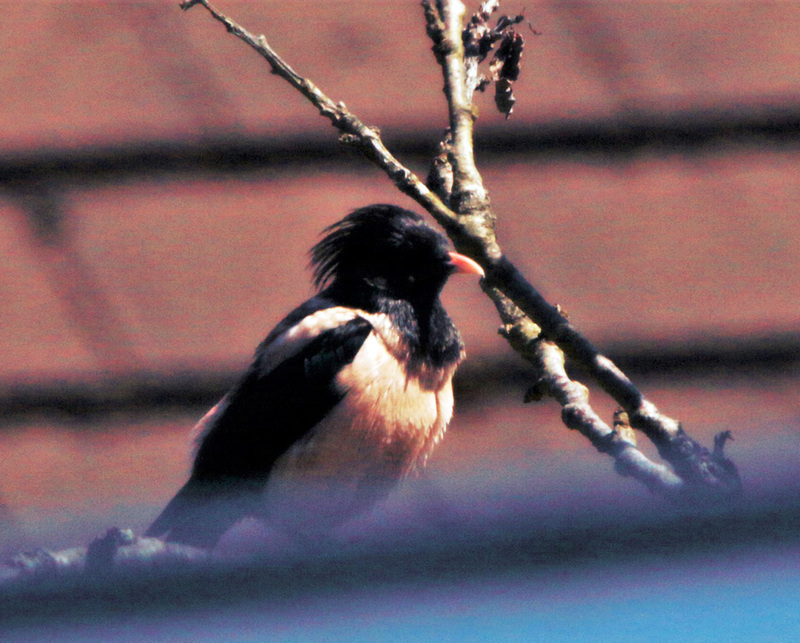 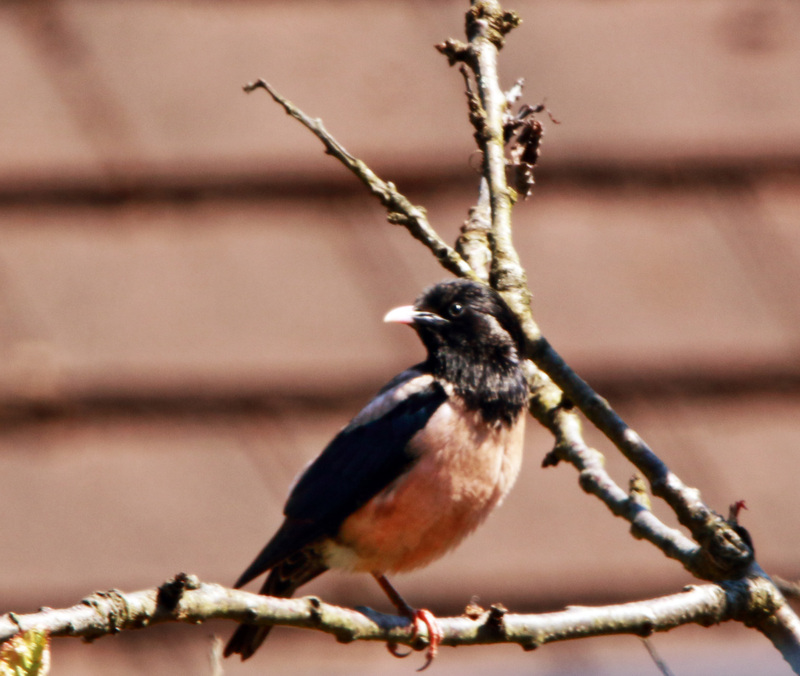 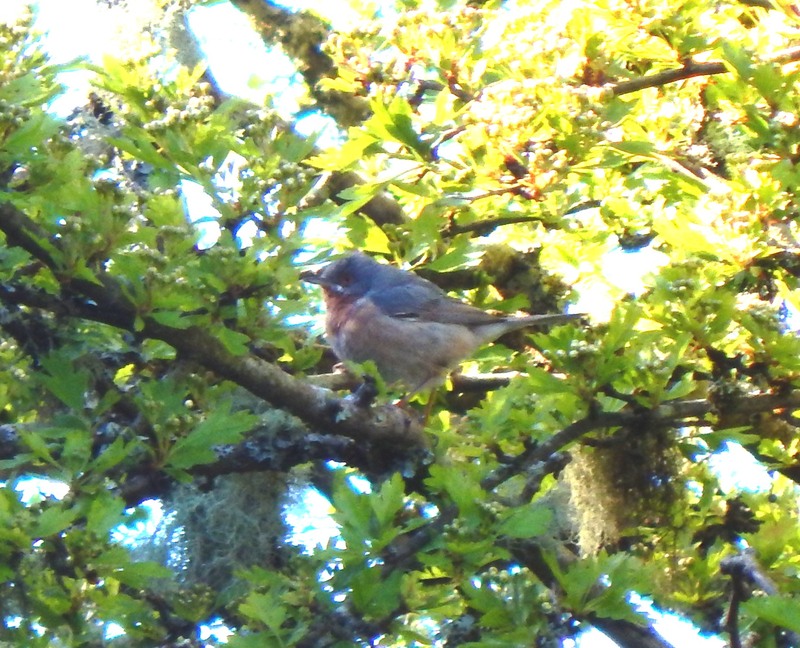 Rose-coloured Starling Hunters Quay, Cowal 25 May (Alsitair McGregor). 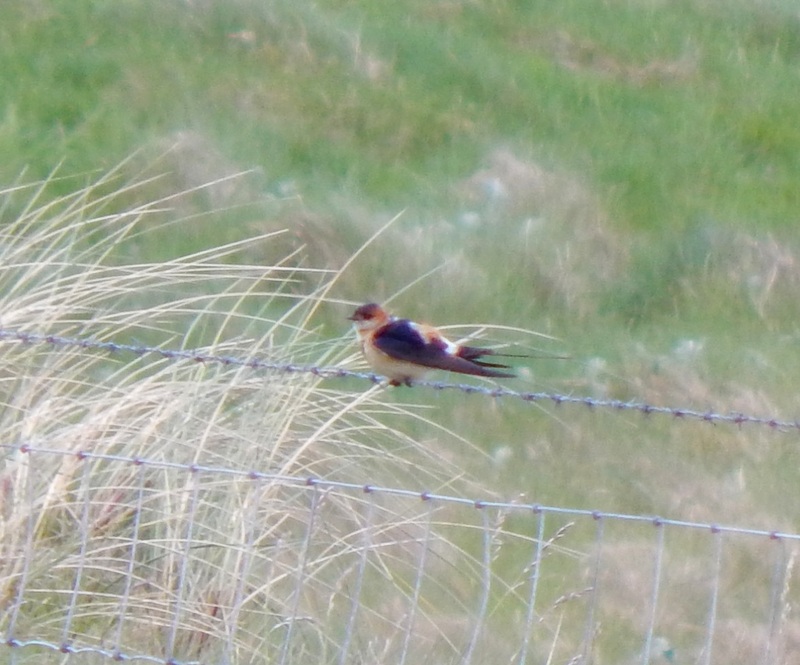 Red-rumped Swallow - Tiree 24 May (John Bowler). 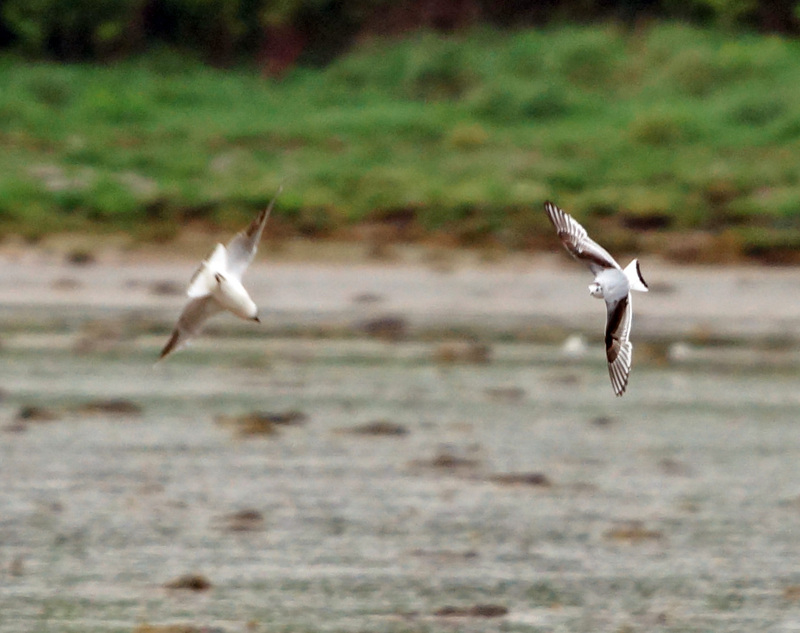 Little Gull (right) with B-h Gull - Loch Gilp, Mid-Argyll 23 May (Jim Dickson). 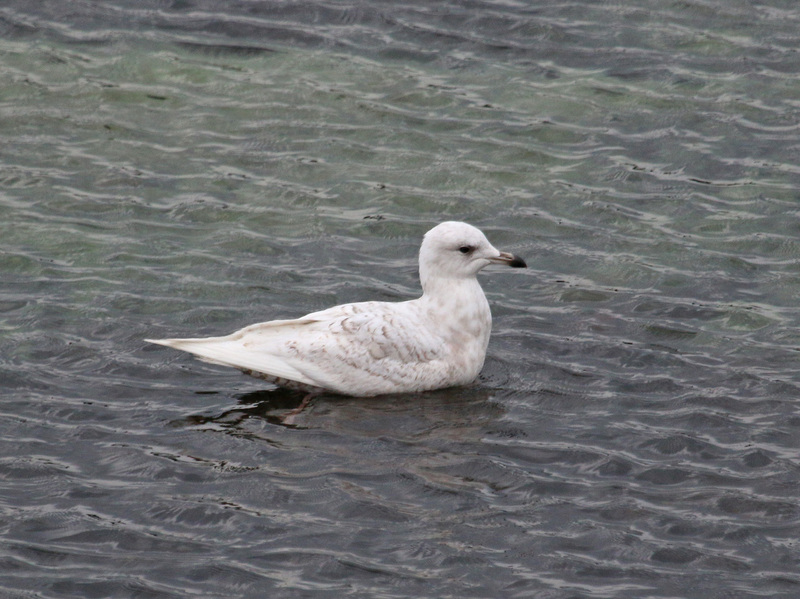 Iceland Gull - Machrihanish, Kintrye 22 May (Bob Relph). 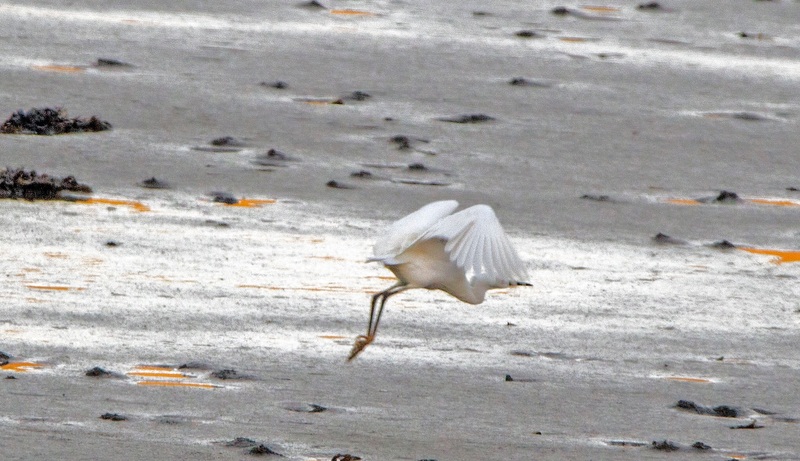 Little Egret - MSBO, Kintyre 22 May (Eddie Maguire). 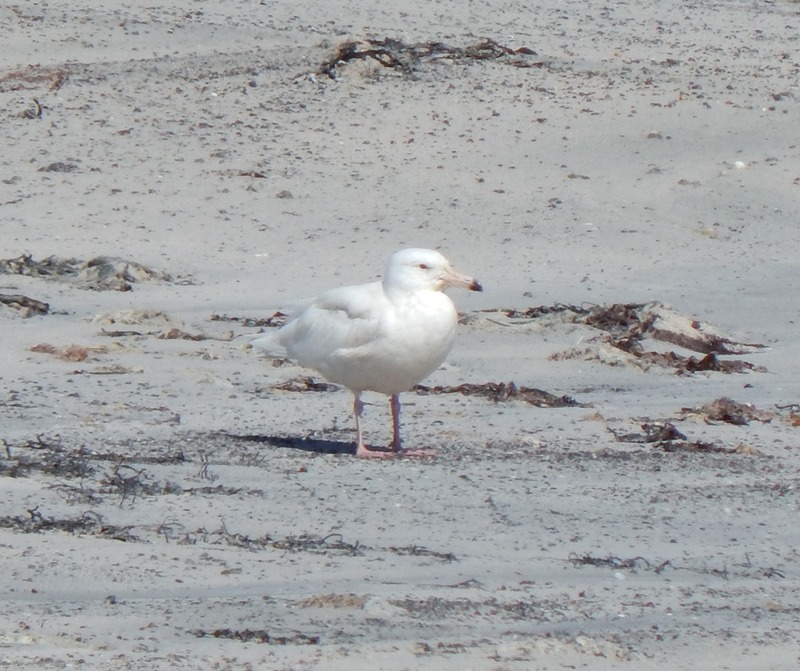 Glaucous Gull - Vaul Bay, Tiree 19 May (John Bowler). 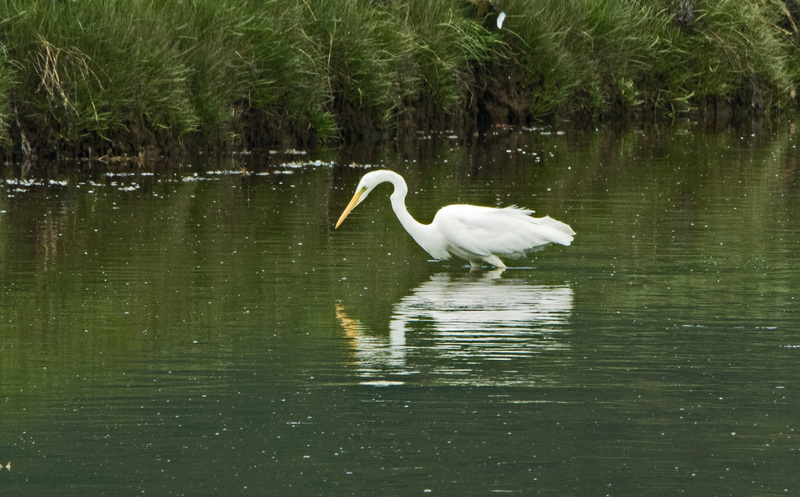 Great White Egret - Holy Loch, Cowal 18 May (Alistair McGregor). 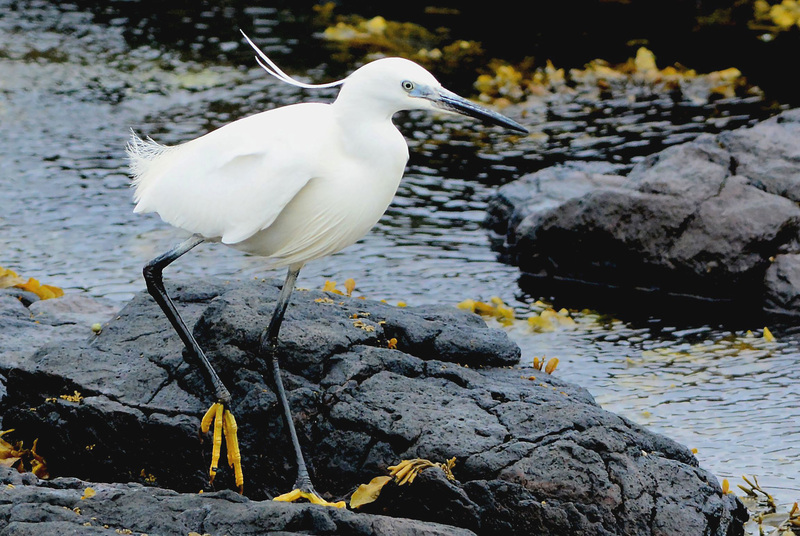 Little Egret - Loch Riddon, Cowal 16 May (Alistair McGregor). 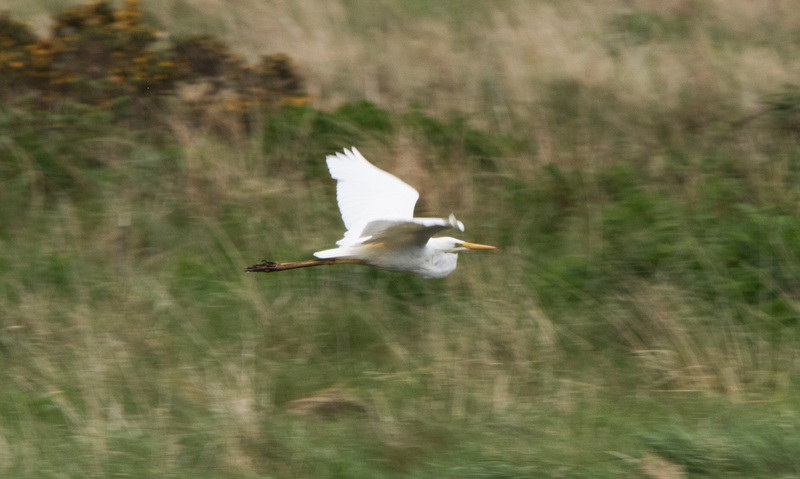 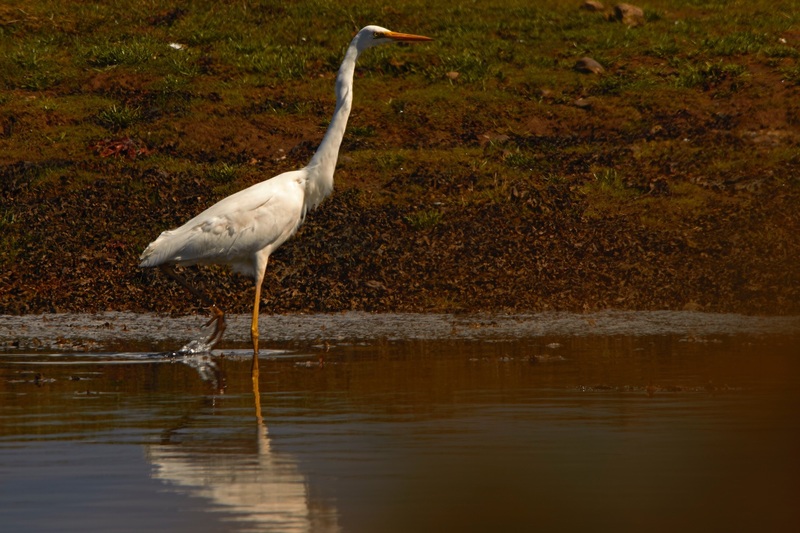 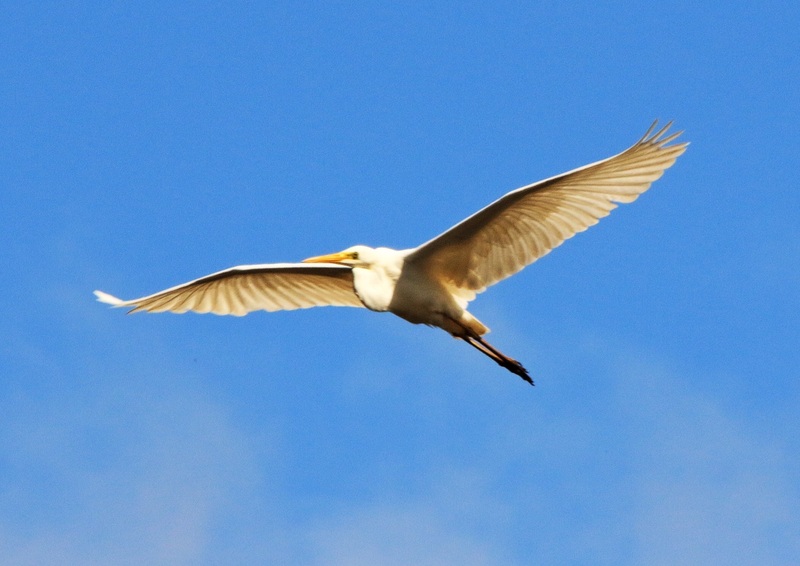 Great White Egret - Holy Loch, Cowal 16 May (Alistair McGregor). 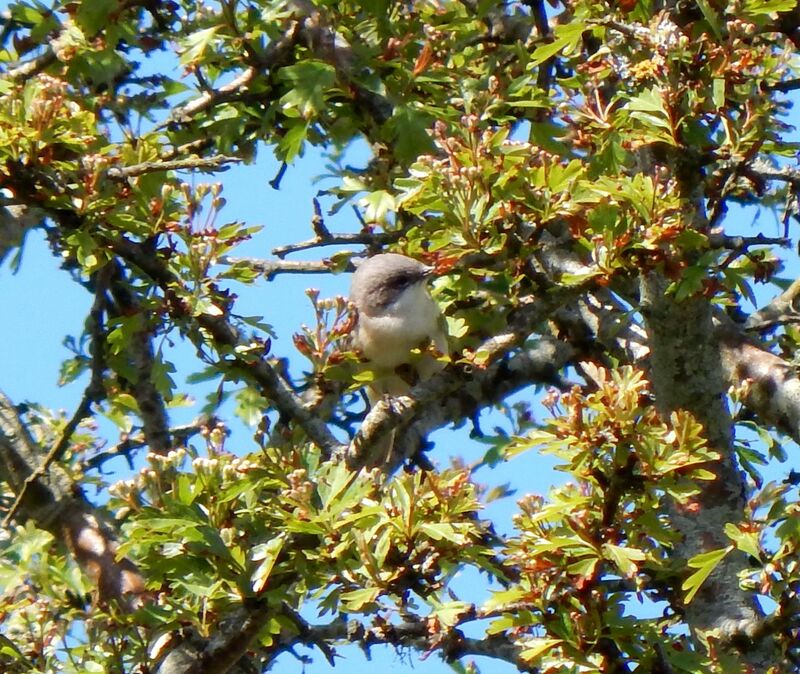 Lesser Whitethroat - Carnan Mor, Tiree 14 May (John Bowler). 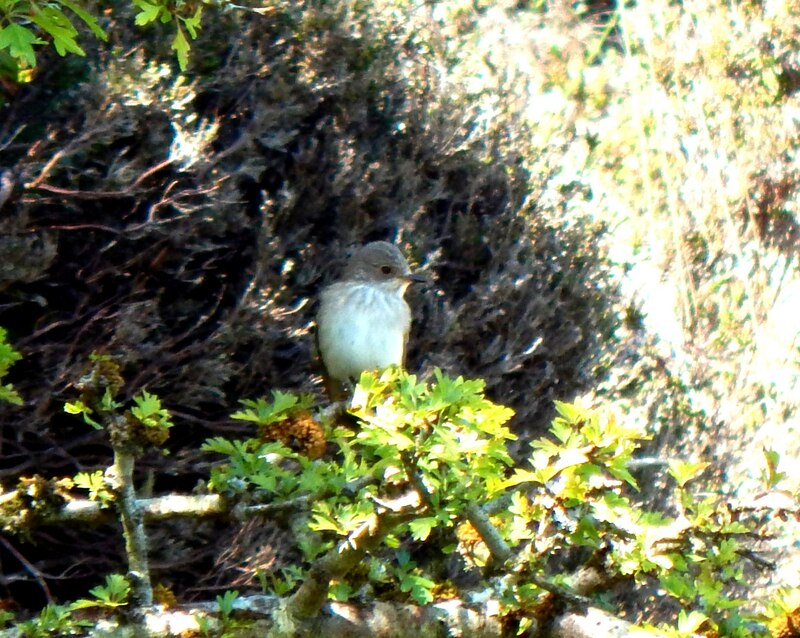 Spotted Flycatcher - Carnan Mor, Tiree 14 May (John Bowler). 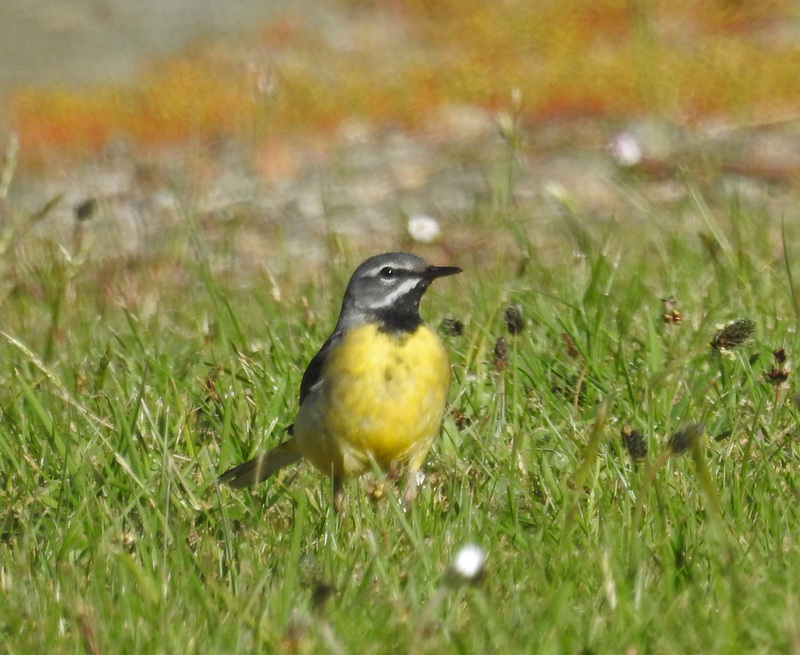 Grey Wagtail - Kilmartin, Mid-Argyll 16 May (Jim Dickson). 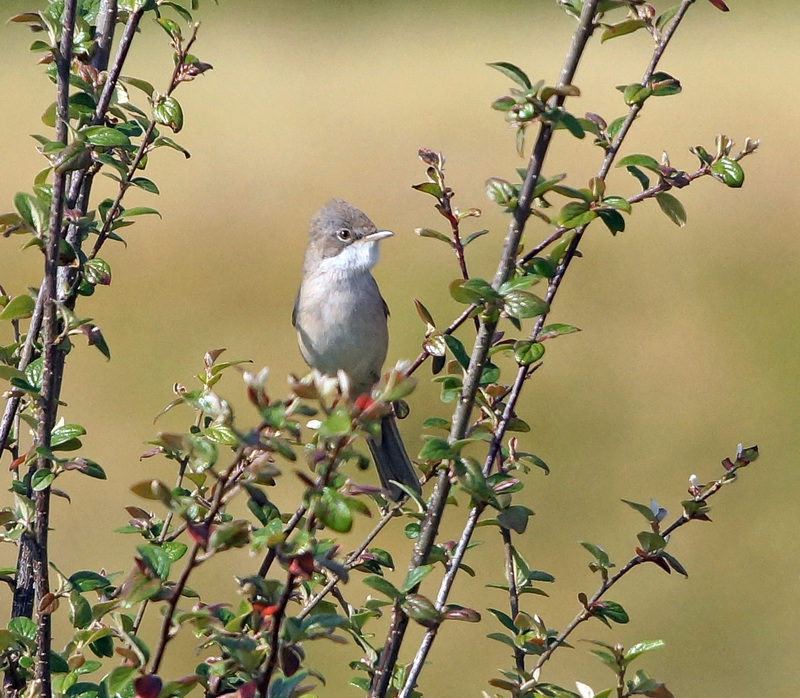 Whitethroat - Kilmartin, Mid-Argyll 16 May (Jim Dickson). 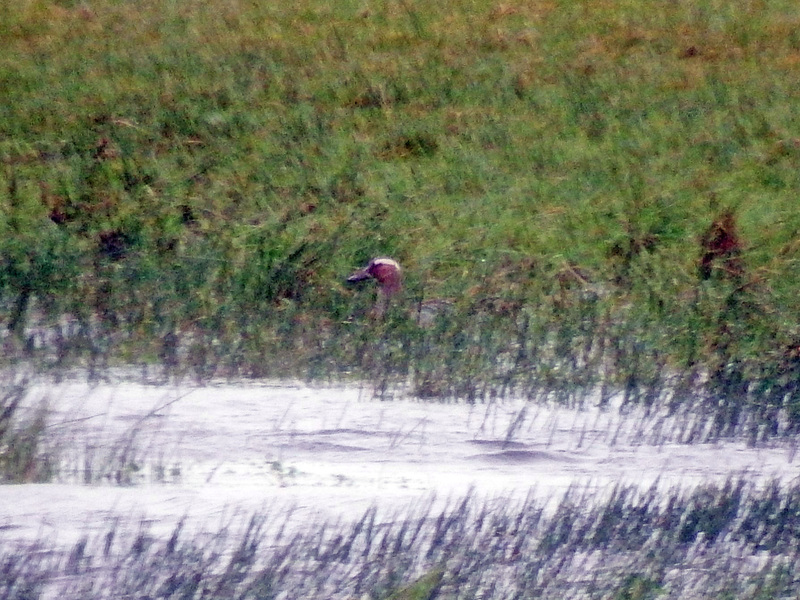 Garganey - Oronsay, Colonsay 15 May (Morgan Vaughan). 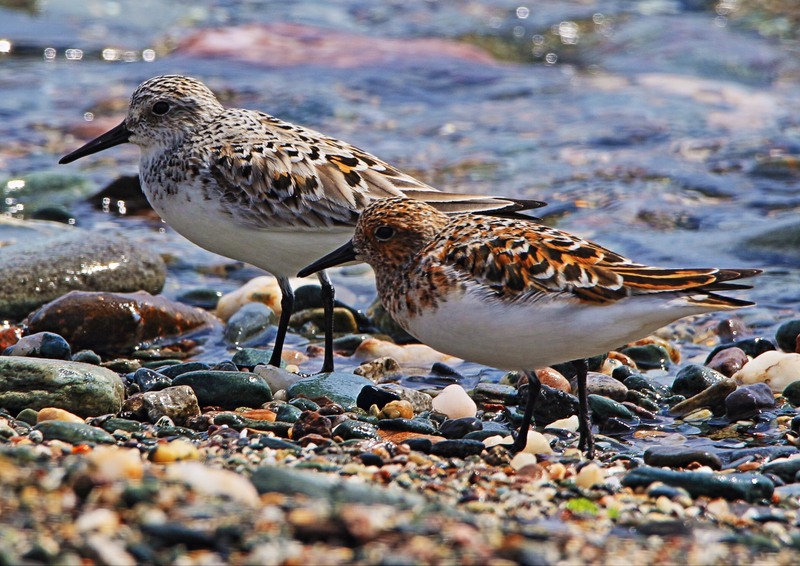 Sanderlings - Toward, Cowal 11 May (Alistair McGregor). 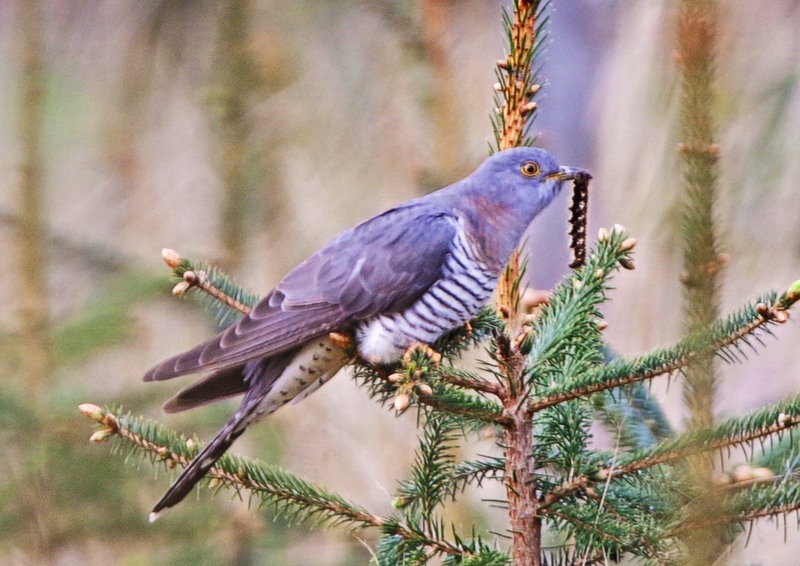 Cuckoo - Glen Massan, Cowal May (Alistair McGregor). 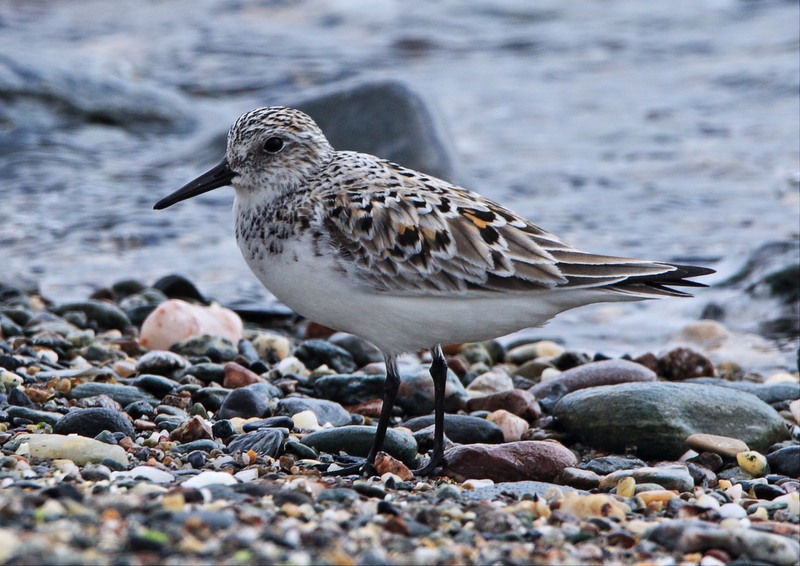 Sanderling - Toward, Cowal 11 May (Alistair McGregor). 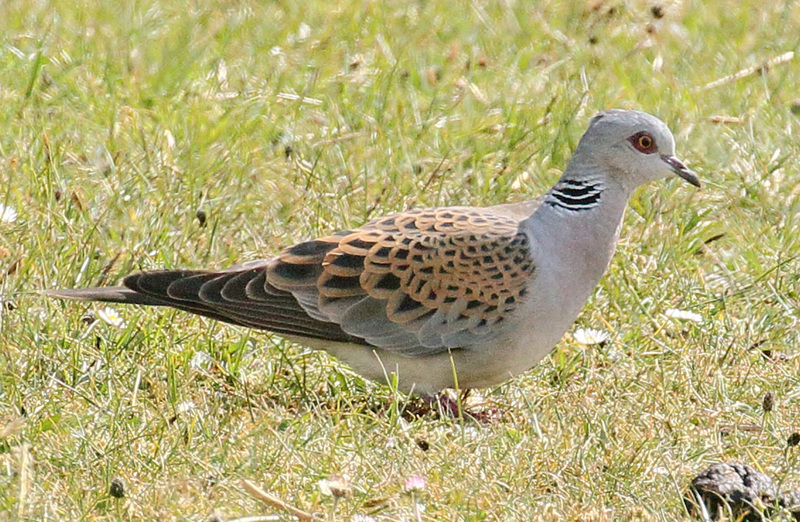 Turtle Dove - Kintra, Mull 11 May (Jeremy Roberts). 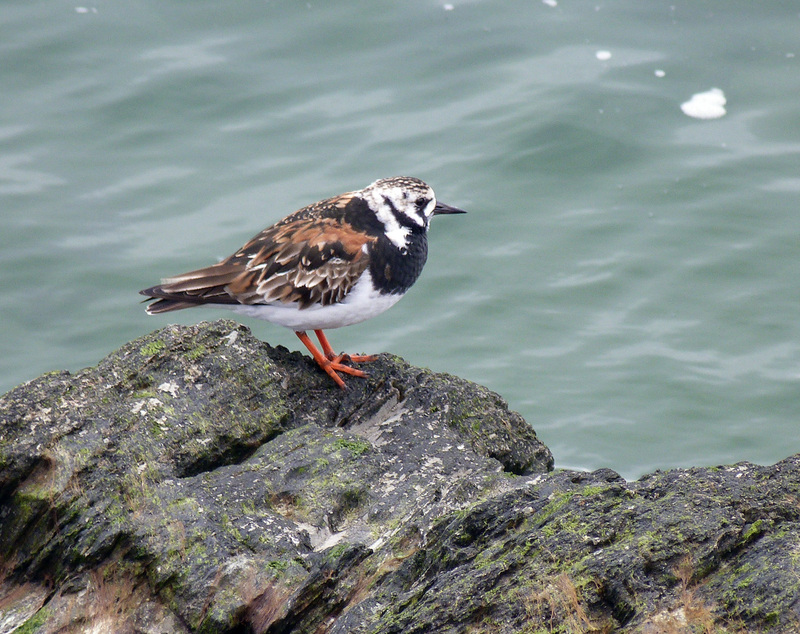 Turnstone - Dunoon, Cowal 10 May (George Newall). 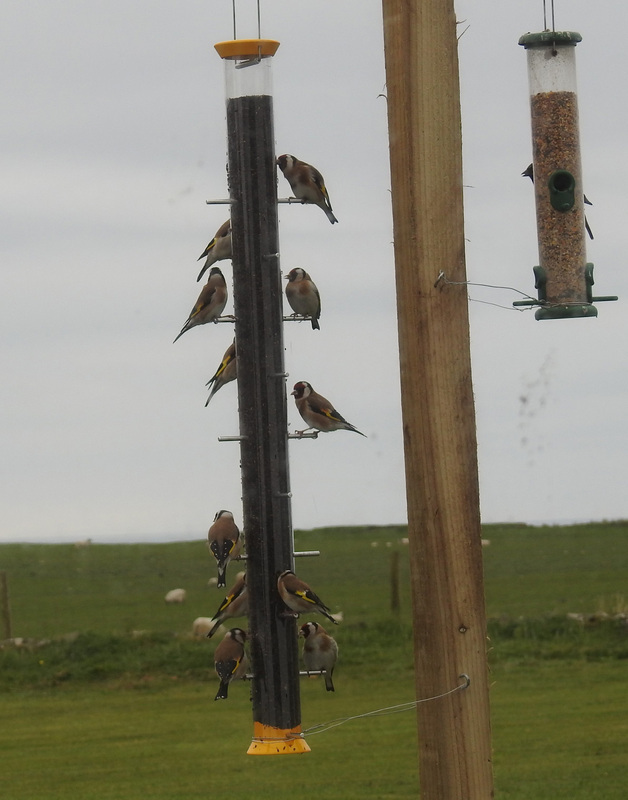 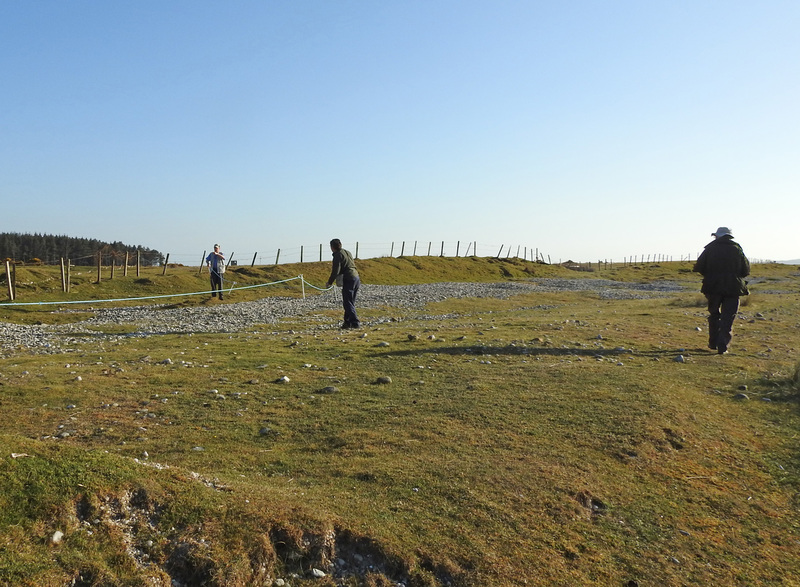 feeding station at Kilchoman, Islay (Ian Brooke). 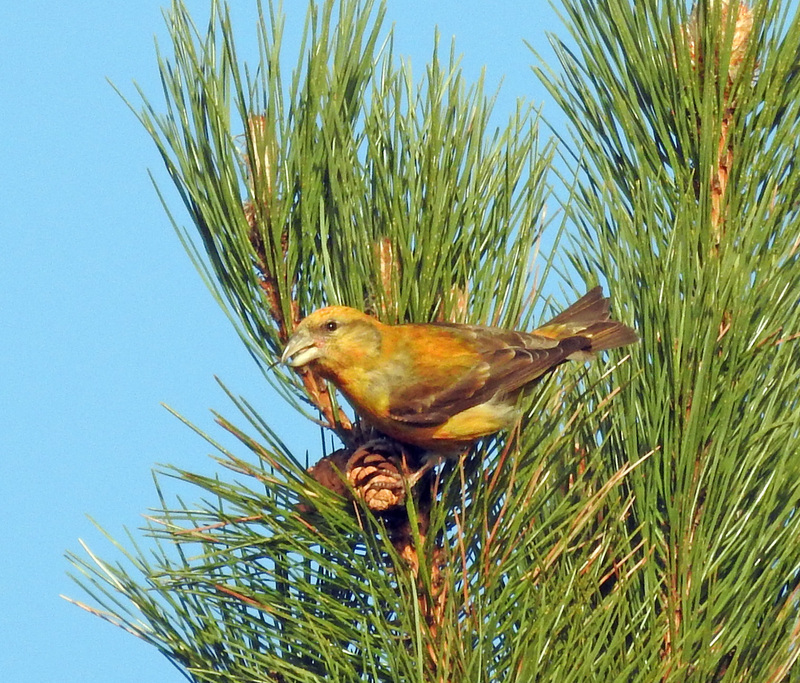 Crossbill - Rhunahaorine, Kintyre 9 May (Jim Dickson). 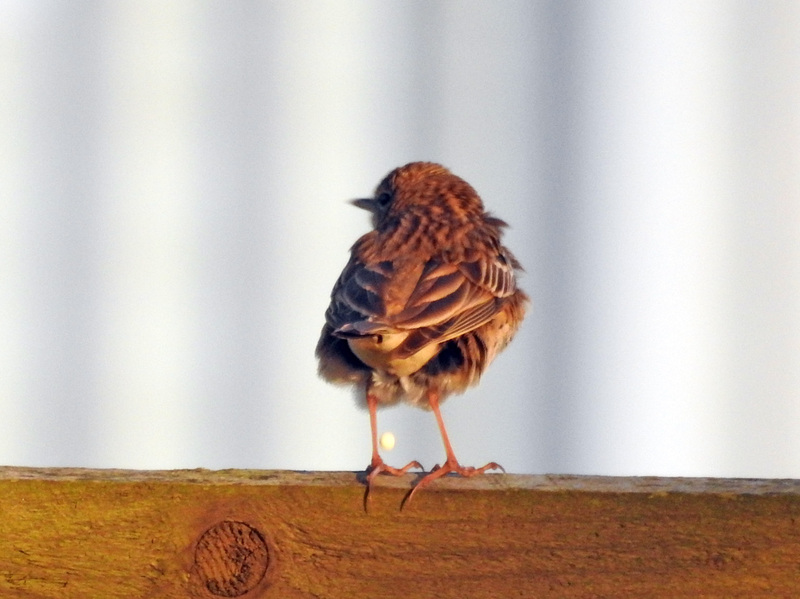 Tree Pipit - Rhunahaorine, Kintyre 9 May (Jim Dickson). 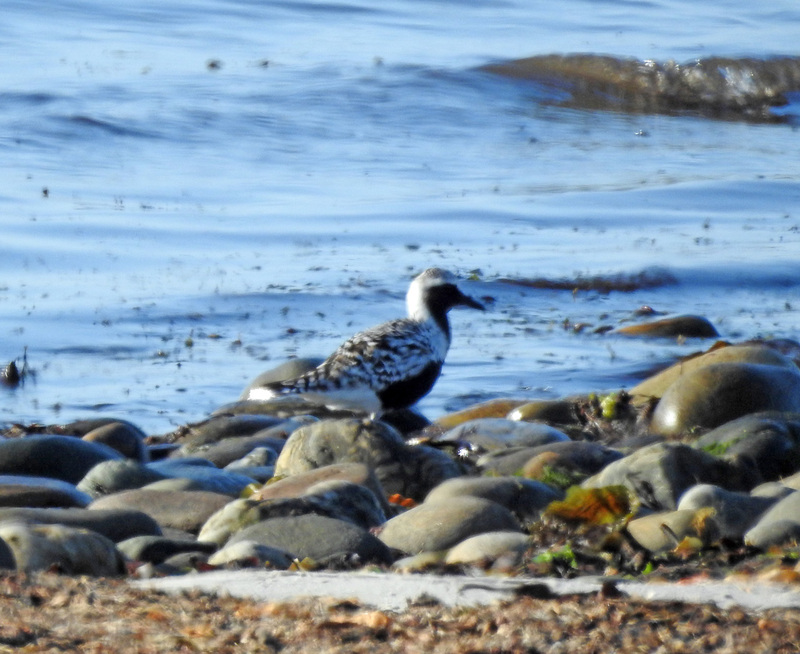 Grey Plover - Rhunahaorine Point, Kintyre 9 May (Jim Dickson). 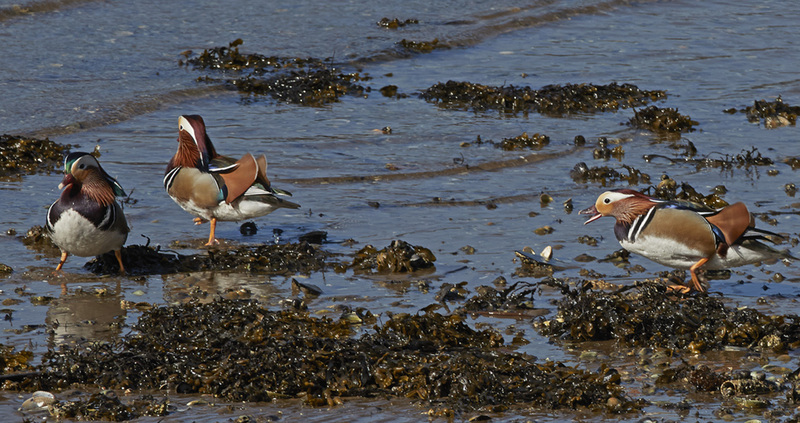 Mandarins - Holy Loch, Cowal 3 May (Ian Giles). 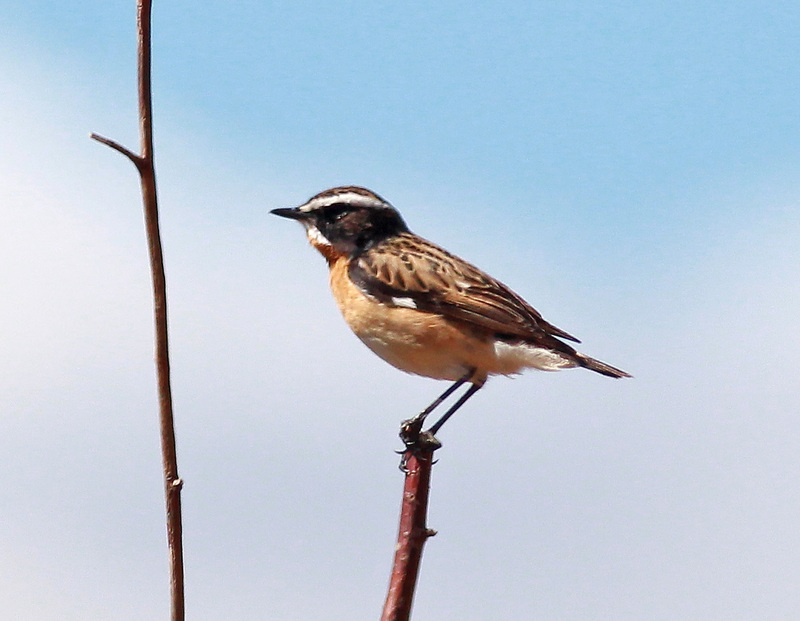 Whinchat - Strachur, Cowal 7 May (Neil Hammatt). 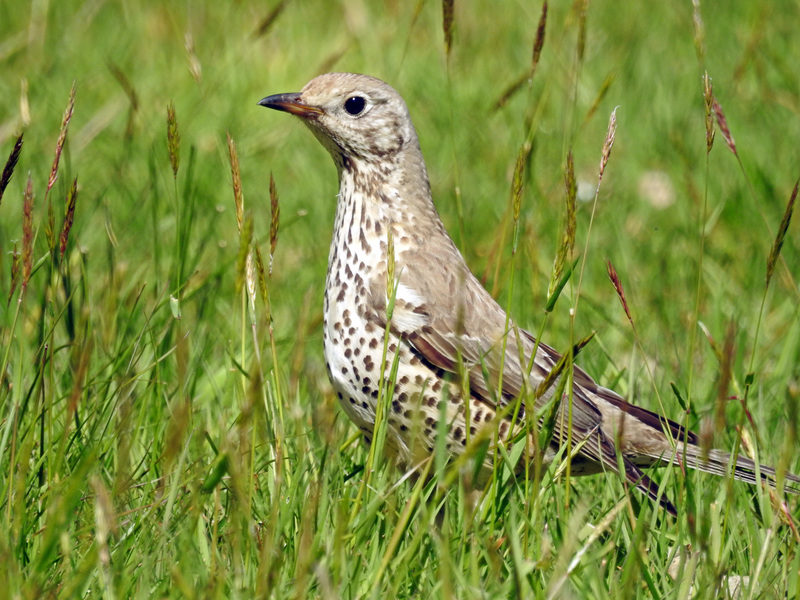 Mistle Thrush - Inveraray, Mid-Argyll 8 May (Jim Dickson). 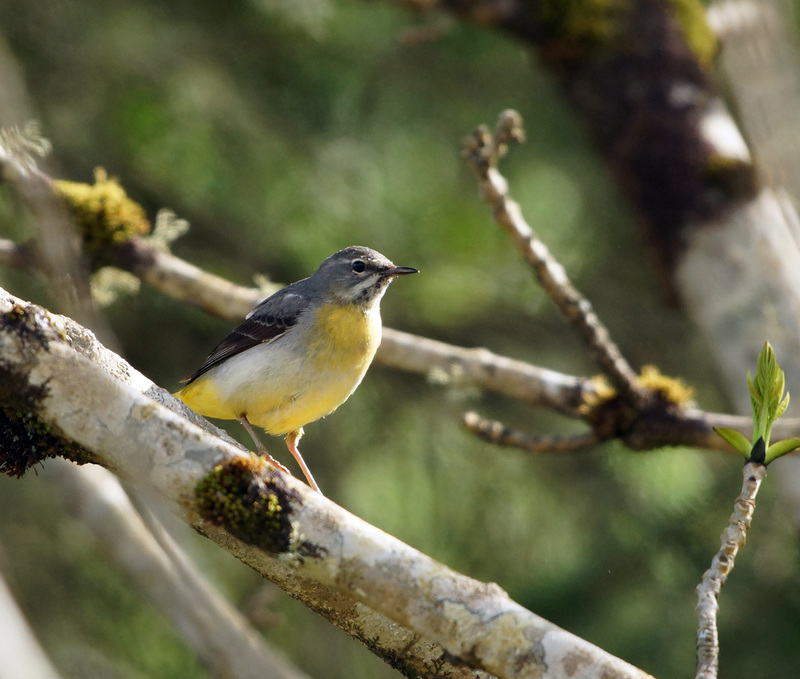 Grey Wagtail - Glen Fyne, Mid-Argyll 8 May (Jim Dickson). 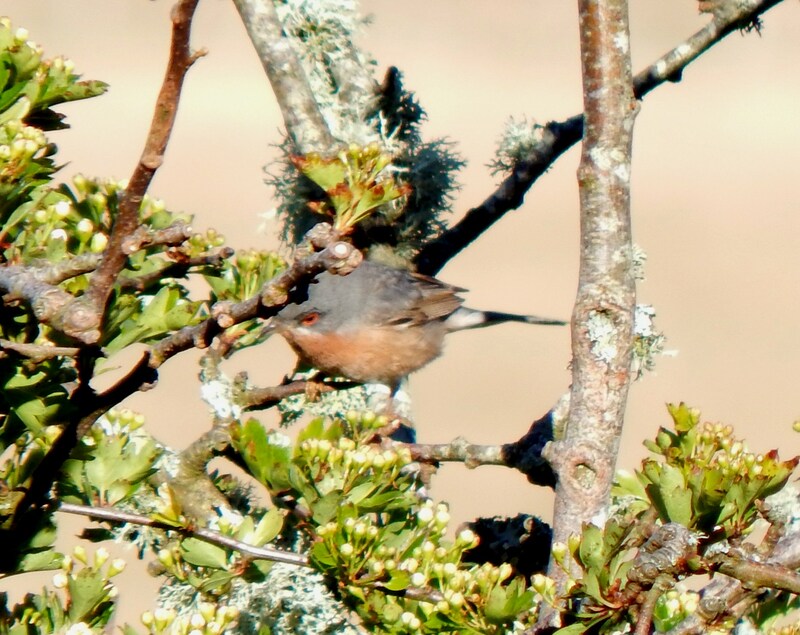 'Western' Subalpine Warbler - Carnan Mor, Tiree 7 May (John Bowler). 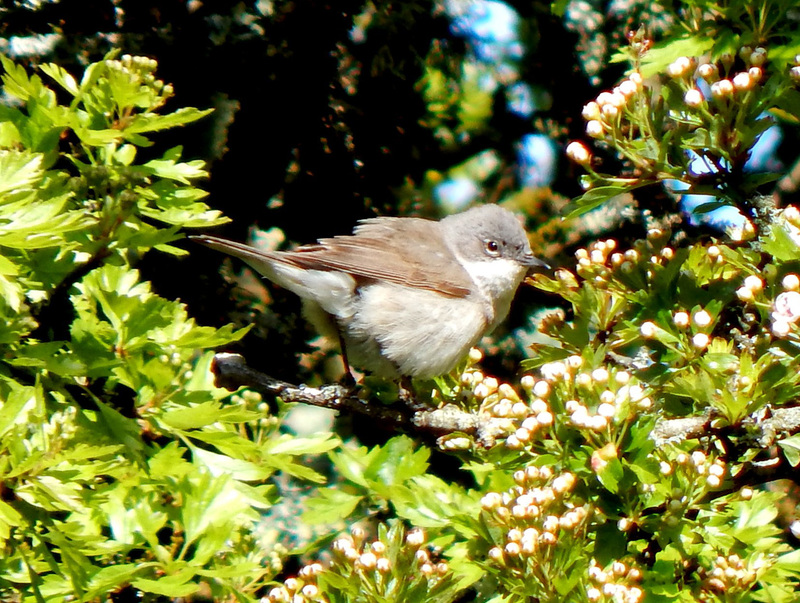 Lesser Whitethroat - Carnan Mor, Tiree 6 May (John Bowler). 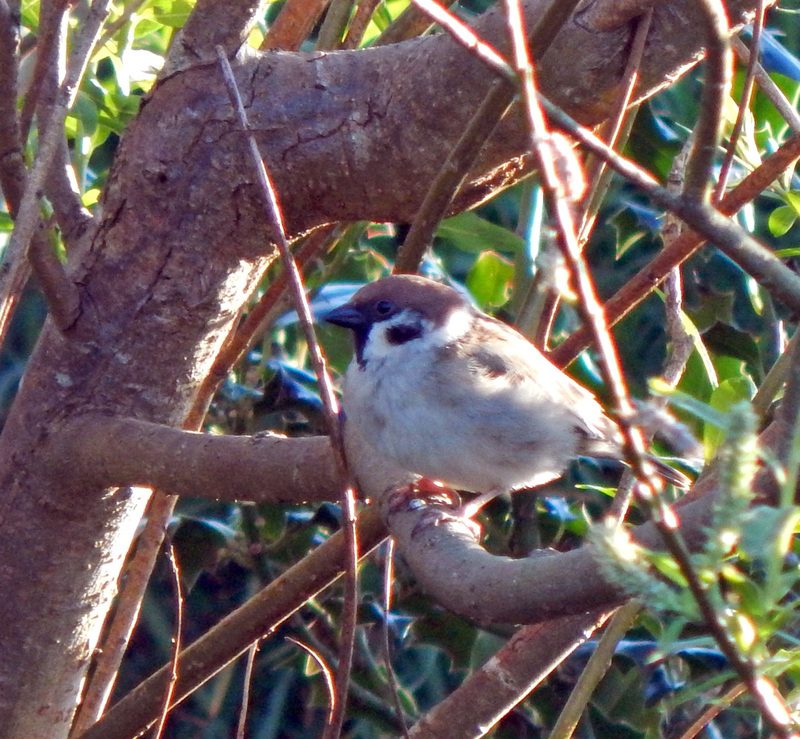 Tree Sparrow - Balephuil, Tiree 5 May (John Bowler). 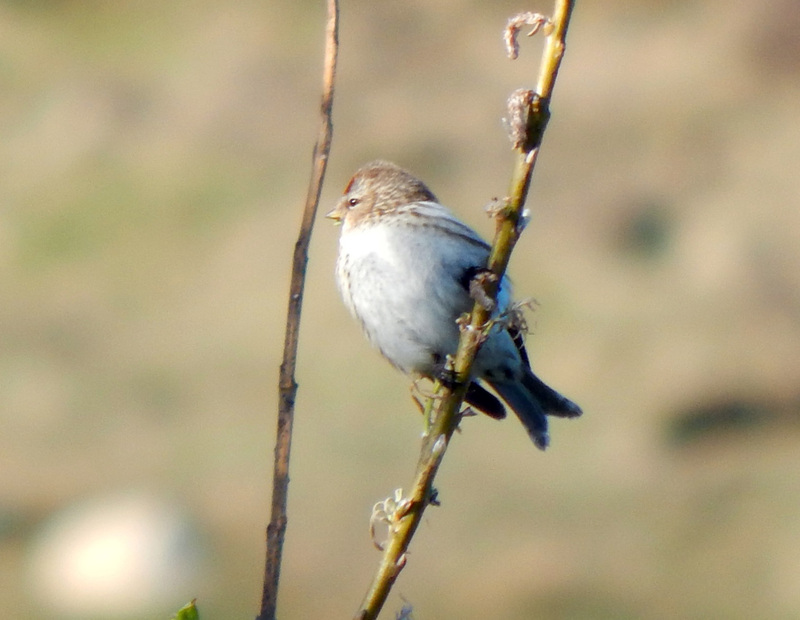 Common Redpoll - Balephuil, Tiree 5 May (John Bowler). 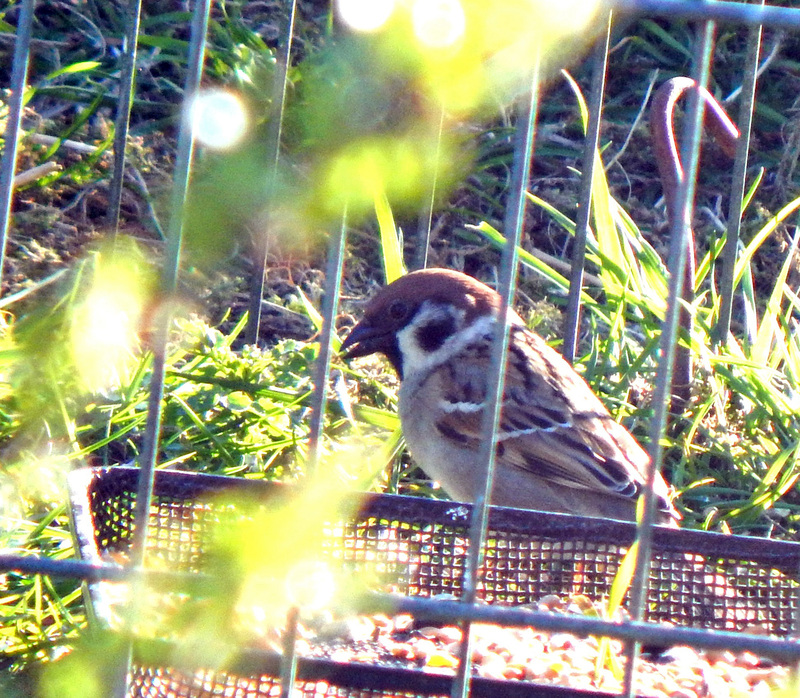 Tree Sparrow - Balephuil, Tiree 4 May (John Bowler). 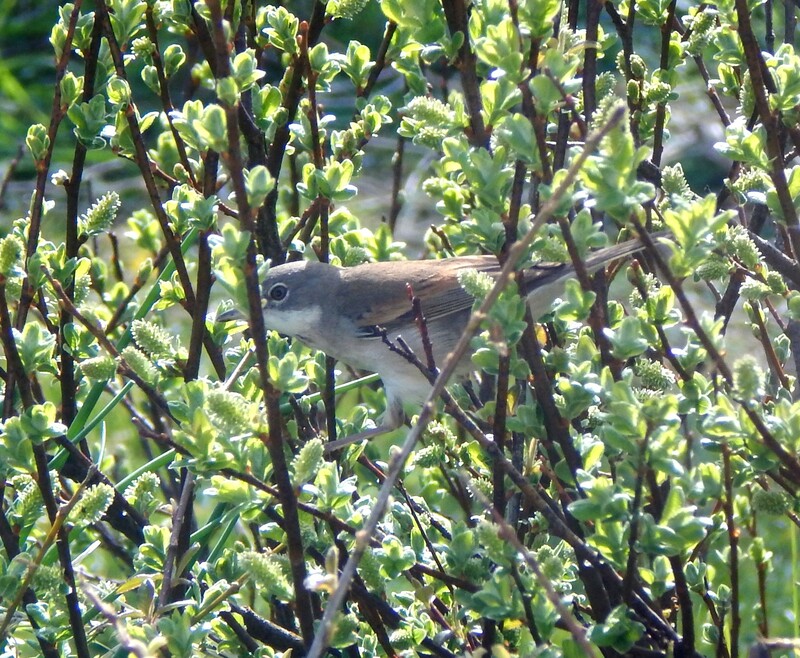 Whitethroat - Balephuil, Tiree 3 May (John Bowler). 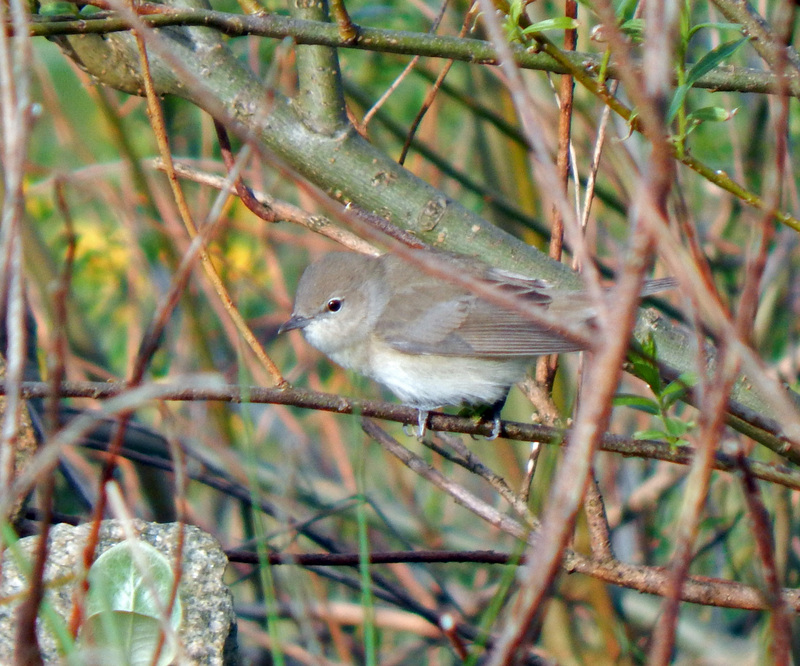 Garden Warbler - Balephuil, Tiree 3 May (John Bowler). 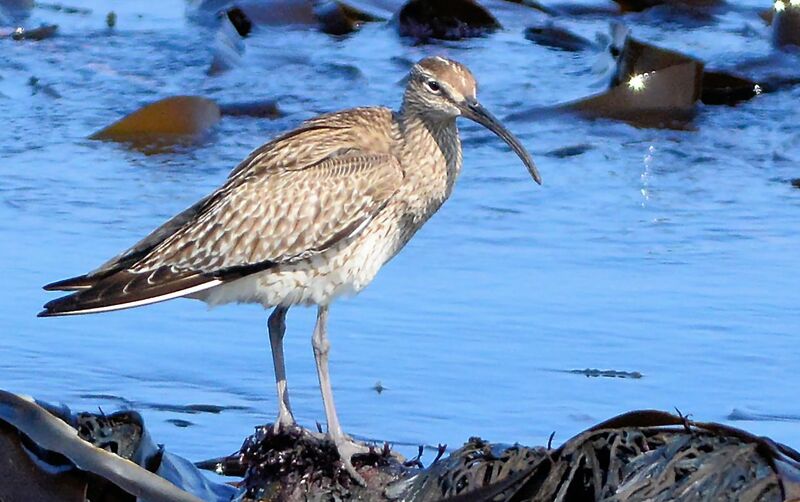 Whimbrel - Machrihanish SBO, Kintyre 2 May (Eddie Maguire). 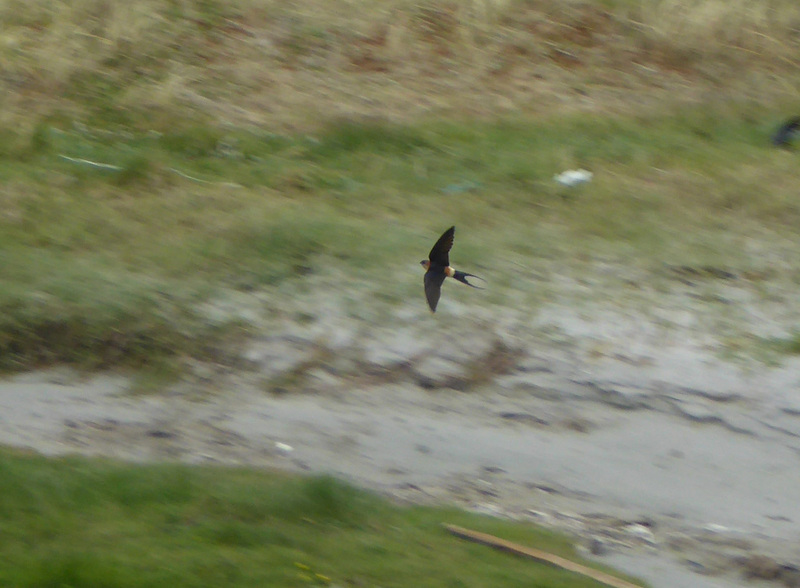 Dunlin at Gott Bay, Tiree 2 May (John Bowler).